Intima was developed in response to market demand for an aesthetically pleasing, robust and serviceable sanitary napkin receptacle. In just a short length of time Kennedy’s Intima has become the market leading sanitary napkin receptacle. 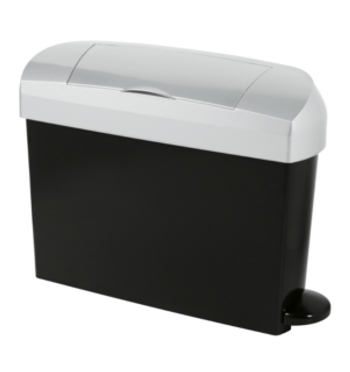 Available in compact 6 and 4 gallon models, Intima and Intima Mini combine large waste holding capacity in a sleek, modern and compact design with minimal floor obstruction. Both models can be used for liner and bin exchange service and embody exceptional functionality, quality and unique service-friendly features. The units are available in manual, foot-pedal and electronic no-touch versions in Kennedy’s full range of finishes. Click here to download detailed information sheet about Bioforce and Bioforce Plus germicidal sachets.